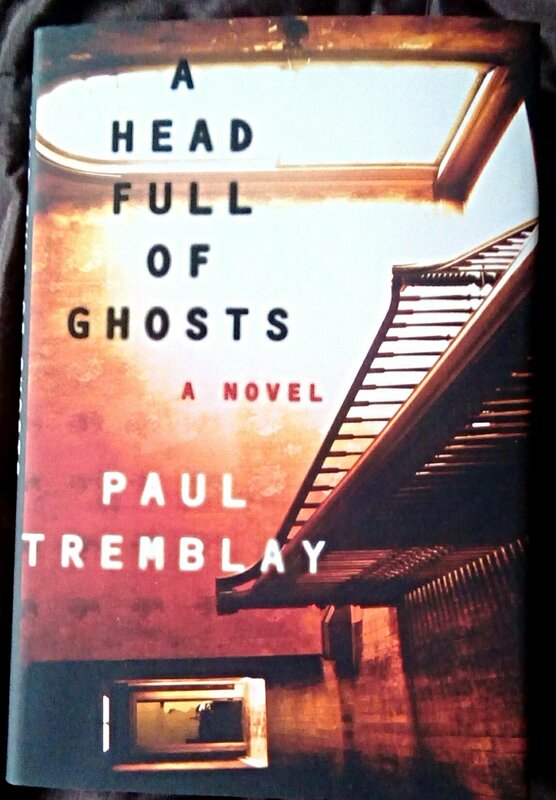 I heard of this horror title from the Goodreads Best Horror Books of the 21st Century. It is not available on Kindle here in the UK and I was unable to find the book in Waterstones or Foyles, both of which did not have it in their catalogue, so thank goodness for Amazon. Set in New England, Marjorie is thought to be possessed by a demon when seeing a medical doctor doesn’t help her. Her family struggling with finances allow a reality tv series to be made in their home chronicling the symptoms of their older daughter, Marjorie. However, eight year old, Merry seems to be conflicted by both what’s happening with her older sister and the tension between her parents. Can the church help Marjorie? This horror story is rather cleverly told from the point of view of 24 year old Merry looking back recounting what happened to her family years ago to a writer, who is researching a book about the alleged possession of her sister. The chapters of Merry telling her story are interspersed with a blog examining the original reality tv episodes. This is the sort of read where you know things are going to take a horrific turn but when they do you still feel winded. Written more like a psychological thriller and literary novel I found the treatment of possession in this book compelling reading and can see why this title has proved so popular among horror fans. Just to let you know, I checked Amazon.com and this title IS available for Kindle for $1.99 while it is NOT available for Kindle in the UK. Thank you, I’m in the UK so had to opt for the hardback to read this one. Good book for this time of the year! Thanks for stopping by my blog recently. I appreciate the visit. You are quite the reader. Keep it up! Thank you, I’m still continuing with my Halloween reads this year.